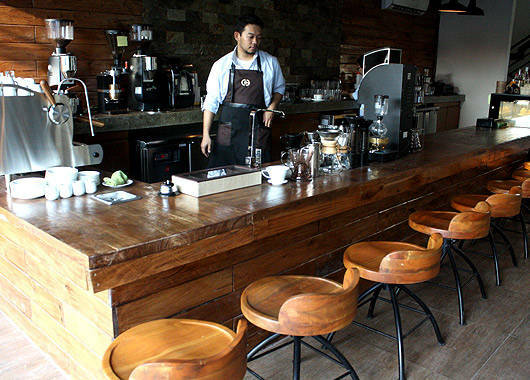 (SPOT.ph) Cesar Erfe loved coffee, but never the Sagada variety. Always one to offer second chances, he kept giving it a shot. It was only until he had a third cup when he got the smooth, delicious flavors that he’d been looking for. The person behind this blend was award-winning barista Ernest Martin. What happened next was the beginning of, well, an empire. 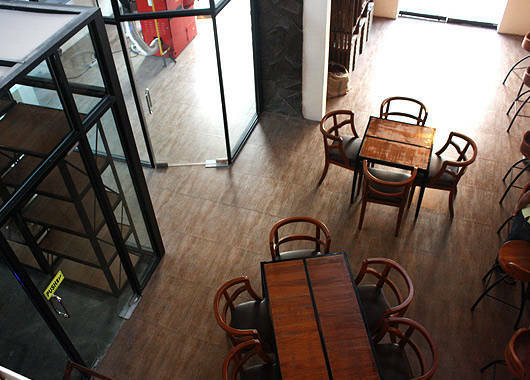 Coffee Empire is an imposingly large building about 750-square-feet wider than the standard city café. 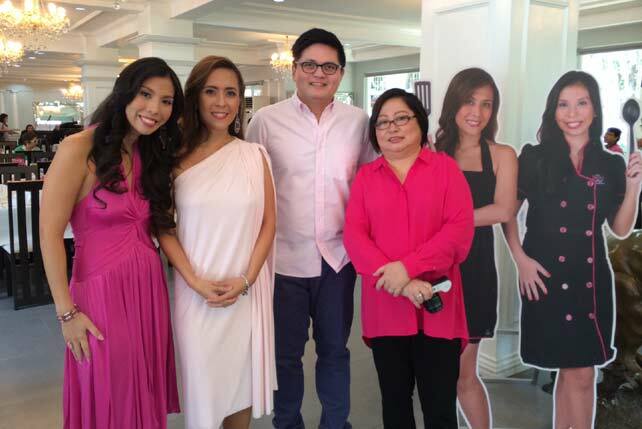 "That's the only way you can really have the feel of an empire," says Cesar, Coffee Empire’s sales and marketing manager. 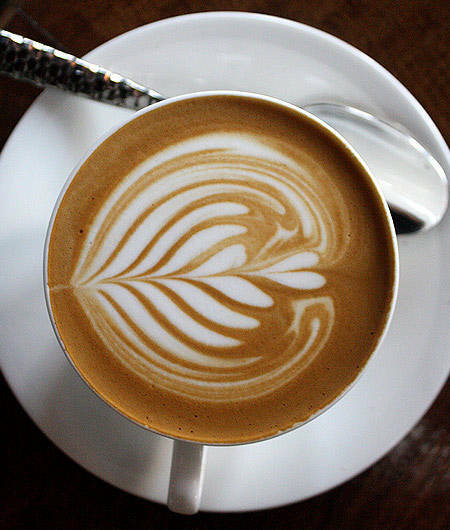 Here, coffee is more than a beverage; it's a performance, and a very artistic one at that. There’s a large space for dining. That’s the storage inside the glass-encased room. Roasting is done on site and you're lucky to be there when it happens. 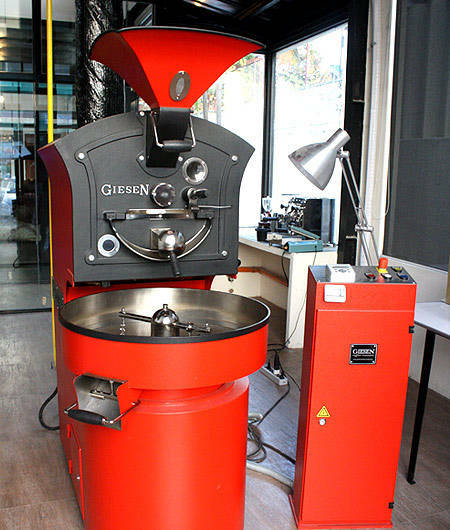 Coffee Empire's red Giesen, a top-of-the-line roaster from Europe, is on full display in a glass room that gives passersby a peek and customers an exciting show. It looks like a cross between a large ice cream maker and fire hydrant, and when it's turned on, the sight, sound and smell of coffee pervade the entire loft. This is where you get your personal coffee tutorial. The layout is like a museum-slash-timeline of how their coffee is prepared: there's the room with the Giesen, another glass-encased space that’s temperature-controlled to store 16 varieties of Arabica beans. The kitchen is exposed and the long bar is decked out in intriguing coffee contraptions (scales, filters, grinders). 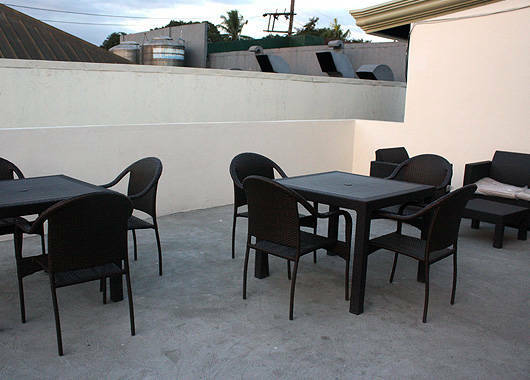 On the second floor, a classroom for coffee education and an al fresco balcony perfect for the little breeze that works so well with a good cup of brew. 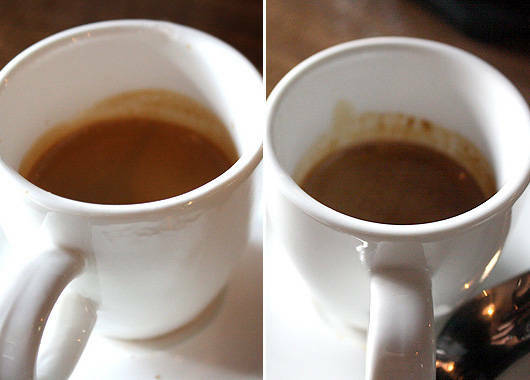 Espresso Shots: (Right) A blended brew with beans from Peru, Benguet, and Ethiopian Sidamo; (Left) a single-origin, medium-roasted Ethiopian Yirgacheffe (SPOT.ph recommended!). The latter is also Ernest’s and Cesar’s favorite. 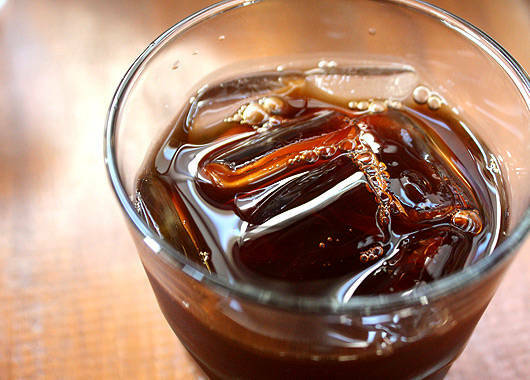 A cold brew made from Nicaragua beans. Coffee Empire has preference for brewing. Cesar and Ernest, who’s also the shop’s general manager, exude a different feeling when they talk about coffee. A conversation with either of them is a technical lesson: the type of beans-even the ones they don't have (only Arabica is used for quality and logistical convenience), the origin (single, usually), and the source (Indonesia, Nicaragua, Ethiopia, Benguet, and more). It’s the kind of endless chatter unfiltered by passion and soon you’ll find yourself joining in the conversation. Ernest earnestly making his cappuccino foam art. 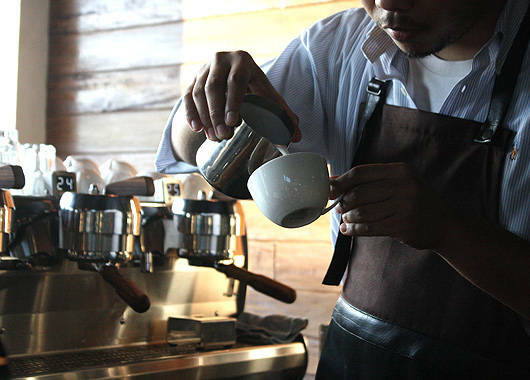 He uses a metal filter for the Sumatra Mandheling, the strongest coffee they have in the store. This paper filter is used for Ethiopian Sidamo OCR (Operation Cherry Red). There's spectacle in the way Ernest (or whoever the barista is on duty) prepares the coffee, and not just in how he makes Instagram-worthy tulips in the cappuccino (P130). Function precedes form and he digs careful indentations in the little pile of coffee grounds as he filters water through it for a more balanced flavor. 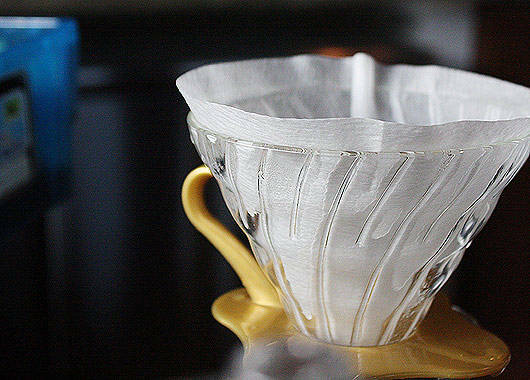 Metal filters give a bolder flavor and paper ones absorb oil, each has its own purpose. 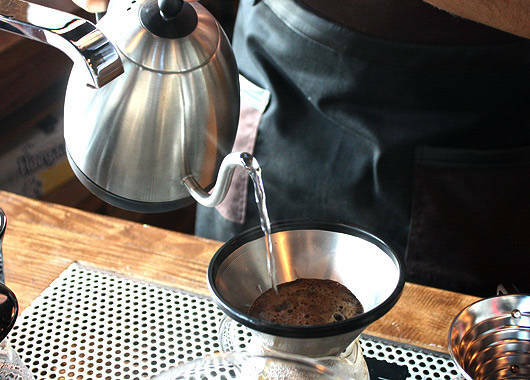 There’s a special, timed motion in adding the water to unleash the right amount of aroma and boldness. Continuous pouring cooks the coffee faster, resulting in an even, stronger flavor, while a segmented pouring brings out the individual notes (acidity, earthiness) better. 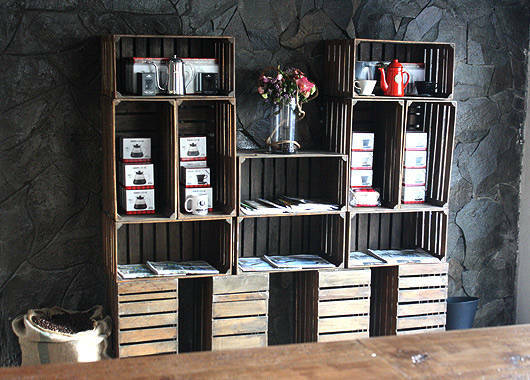 Coffee Empire sells equipment and beans. The availability of the beans varies daily so each experience is different every time, but Ernest has a knack for replicating or making close approximations of accustomed flavors. The bar gives you a front-row view, but they also craft their coffee tableside. Then, there's the food. 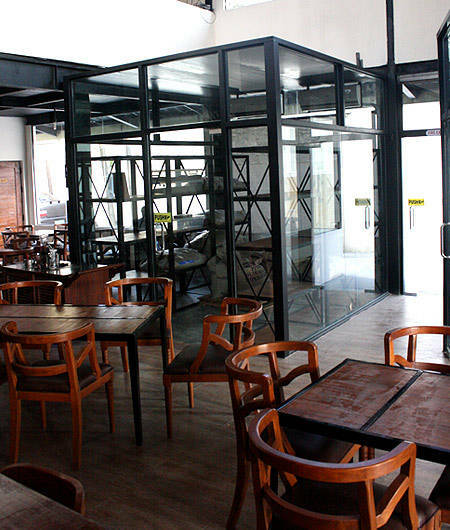 The kitchen is led by award-winning chef Arvi Agra and he brings with him the same artfulness that Ernest pours into his cups. 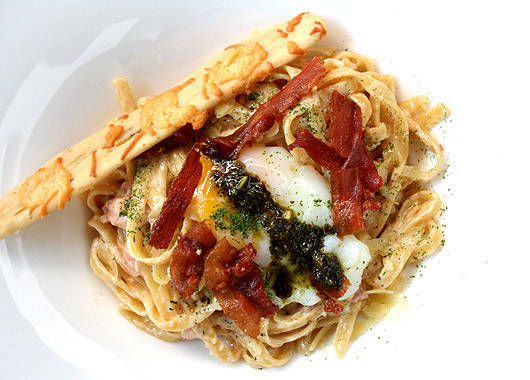 Their menu has a noticeably wider scope than other cafes, with dishes described as "modern comfort food." Coffee Empire grows about half of their vegetables in their own backyard so their greens are a must-try. 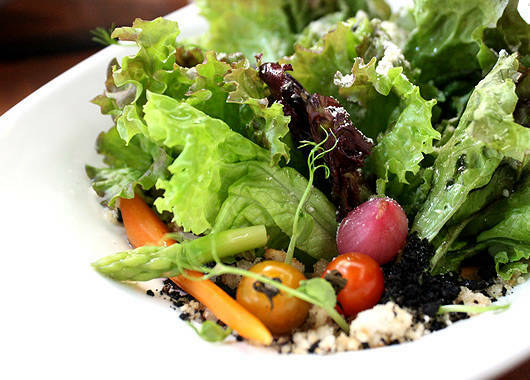 The Chef's Garden Salad (P260) is a gorgeous palette of greenery against bright hues of baby onions and carrots and cherry tomatoes. Bread soil creates a whole garden effect while pickled quail eggs and lemon mist add to the refreshment. 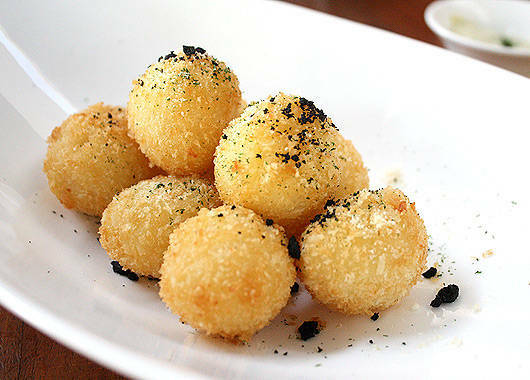 Enoki mushrooms hide under all the colors and tanginess, giving a final, sneaky hit of earthiness. 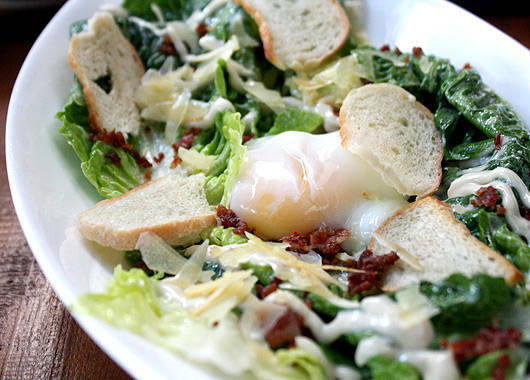 A sous vide egg gives something extra to the classic Organic Caesar Salad (P215), adding a creamy finish to the crunch of fresh heart-shaped romaine. A beautiful masterpiece is laid out in the Tuna Tataki (P305). 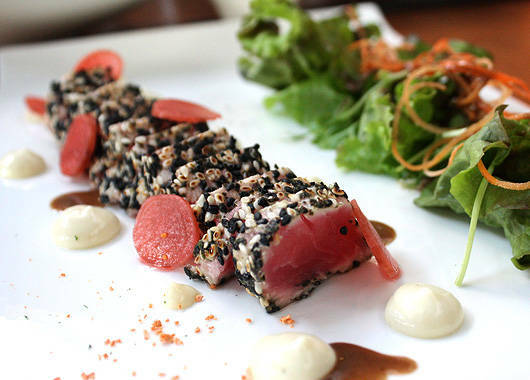 The soft, fresh slices of sashimi-grade tuna come crusted in nutty black and white sesame seeds with strokes of wasabi mayonnaise painted on the side. 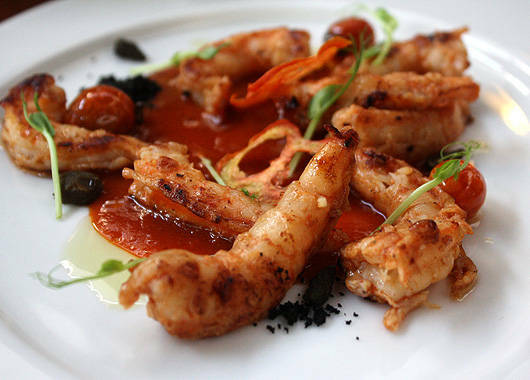 The shelled Gambas Al Ajillo (P375) is the type of starter you'd want to keep popping in your mouth, without the extra effort of peeling. The shallow pool of shrimp bisque adds an extra depth to the dish. Then, there are fail-safe bar chow like the Jamon Serrano Croquettas (P195), which comes with a zesty orange-infused dip that surprisingly works well against the soft potatoes and the smoky ham. 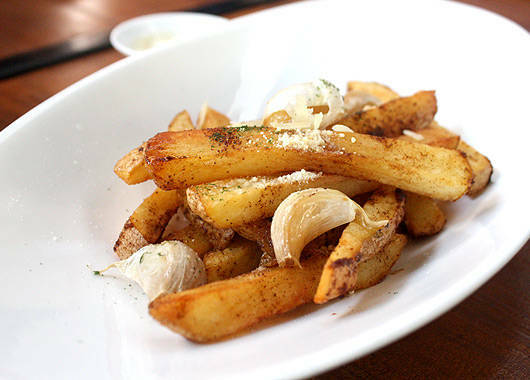 The Duck Fat Fries (P195), a quasi-healthier alternative to the lard-painted usual, is spiked with coffee spice and paired with truffle aioli. Chef Arvi's piece de resistance is, well, pretty darn hard to resist. 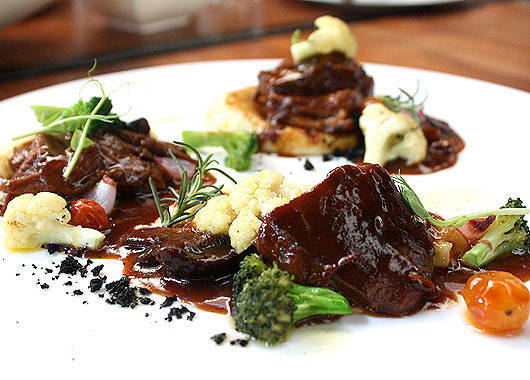 Pork belly (P370) is cooked in sous vide for 42 hours and laid over little beds of mash. Each succulent piece pulls apart with barely any effort, with the wasabi in the potatoes highlighting the sweet tones of the kakuni-styled braise. The alternating layers of soft, delicious fat just adds, if possible, to the juiciness. An alternative to the pork? 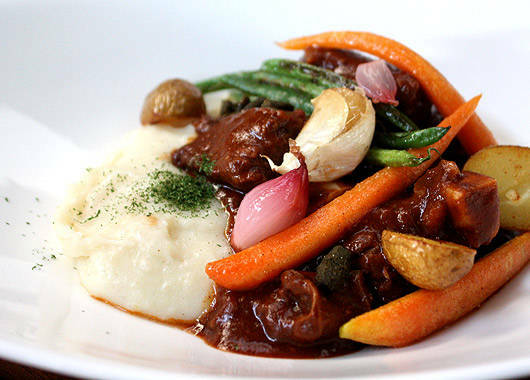 The Beef Shortribs Caldereta (P390) has a sweeter profile than tradition. It works best with Ernest's sweet, wine-toned cold brew. We always say bacon is the answer when ordering becomes too hard. 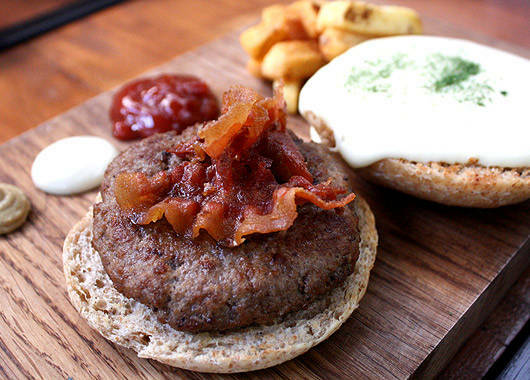 These crunchy strips of brick-hued pork make stunning appearances in the Cheeseburger Fondue (P335), a bestselling burger with a US beef patty, Mornay sauce (a creamier substitute to plain cheese), lettuce, tomato, and the Classic Carbonara (P335) which finds innovation in the runny, 62-degree sous vide egg that acts as a second sauce to the cream. 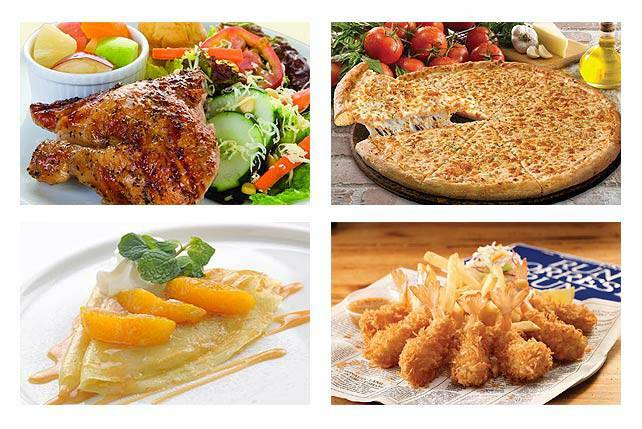 As with the coffee, everything in the kitchen is prepared from scratch, from the bread to the desserts. 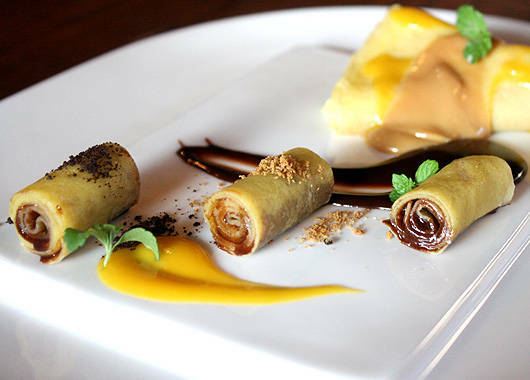 The Crepes (P125) is served as a roll with liquid nitrogen ice cream and salted caramel powder. It's not the sweetest dessert on the menu, which makes it ideal for the milder coffee options. 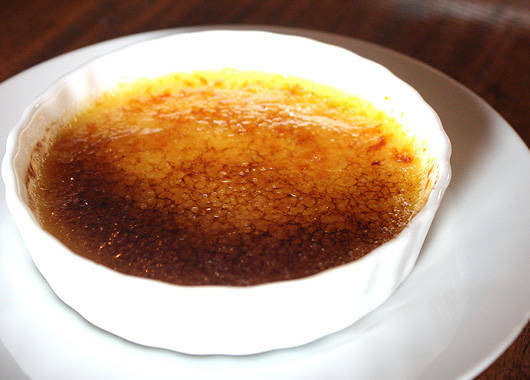 The Crème Brulee (P175) flaunts heavy notes of vanilla in the custard. Have it with a cup of fresh, unspiked coffee. The Sumatra Mandheling, perhaps? It's easy to find a habit in their food (that Tuna Tataki is stamped on our taste buds), but picking a favorite brew is harder. Ask the barista for a recommendation. 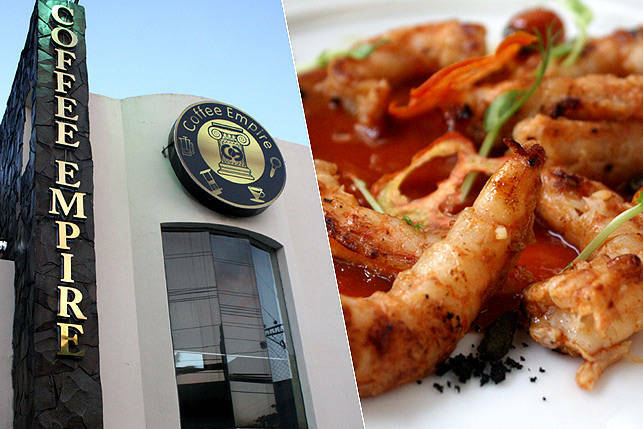 They'll tell you with enthusiasm so contagious and technical know-how so intriguing, you'll already be planning your next visit before you order, just so you can learn some more.